If we’re lucky, we normally get to see superstar Shah Rukh Khan in about one major film per year. In 2014 we were graced with Happy New Year, 2013 was the year of Chennai Express and so on and so forth. Well now SRK fanatics are in for a huge treat. Beginning this December, we’ll have three (yes, three!) Shah Rukh Khan-starrers releasing within seven months of each other! That sounds like almost a little too much to handle, right? Not to fear, we’ve got a helpful mini guide below to help keep your mind straight in the midst of all the excitement. Why We’re Excited: The ultimate pairing, of course! Five years after last film together (My Name is Khan) and 22 years after their first film together (Baazigar) we are filled with anticipation to see the iconic SRK and Kajol back on the big screen. Details about Dilwale’s story have been kept under wraps so far, but our Bolly-vision tells us that this will likely be an entertaining rom-com filled with love, laughter, action and fun musical numbers (rumor has it that Farah Khan is choreographing a love song). 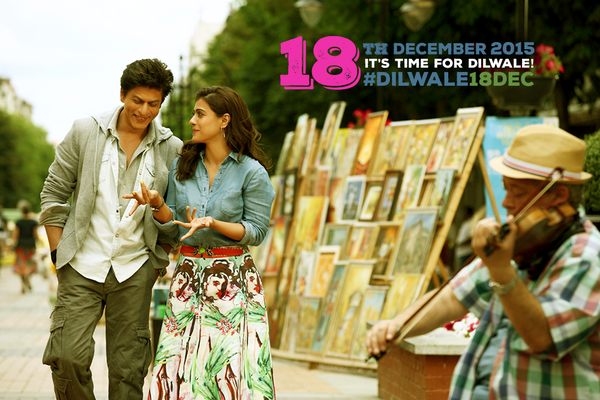 And with a holiday release, this all sounds like the perfect formula for a Shah Rukh Khan blockbuster! Why We’re Excited: From Om Shanti Om to Billu Barber we just love movies that give us a glimpse into the inner-workings of the Bollywood film industry. 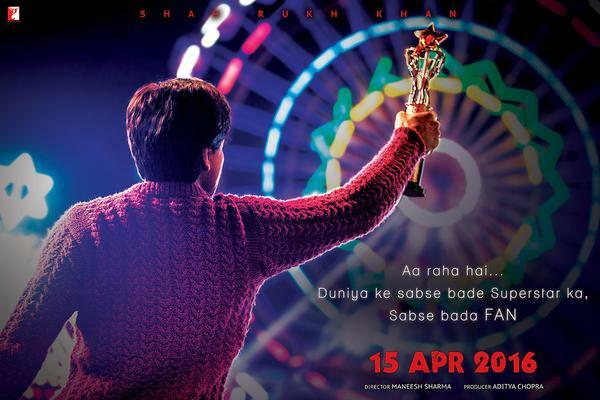 Ironically in the movie, King Khan stars as Gaurav, a die-hard fan of a huge superstar (also played by SRK and likely inspired by his real-life stardom). As a star who has millions of obsessive fans himself, we’re looking forward to seeing the other side of the story from a fan’s perspective. And while this story seems outwardly light, we’re guessing the film will really examine the deeper implications of stardom and fandom. 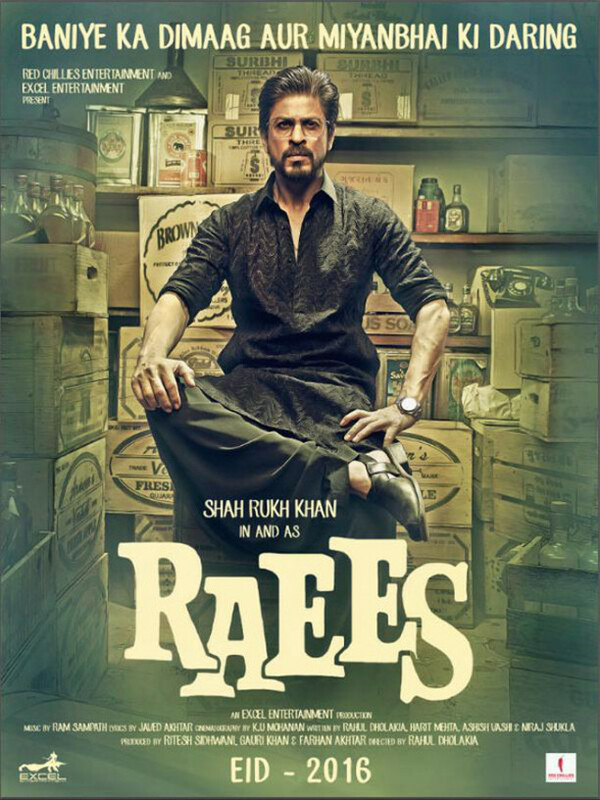 Why We’re Excited: Set in Gujarat, Raees deals with some serious issues: alcohol prohibition, drug trafficking and prostitution. This means Shah Rukh won’t be in his usual loverboy avatar – he plays a brutal bootlegger this time who looks to be even edgier than his Don and Don 2 character. We love a good societal critique and can’t wait for this gritty drama! So sit tight, folks! In just four short months, we’ll mark the beginning of this SRK-frenzy. Which movie are you most looking forward to? 16 queries in 1.079 seconds.